If you’re looking for a quality smartwatch, but don’t want to pay the price of an Apple Watch, then the Fitbit Versa is an excellent option. The popular fitness tracker has been discounted from a number of popular retailers since there is a newer version of the Fitbit smartwatch out (the Fitbit Ionic) that retails for more. We also have the best prices for the Fitbit Versa Special Edition as well as the Fitbit Versa Lite Edition. The Fitbit Versa price normally retails for $199.99 / £199.99 / AU$299.99, but we often find a number of retailers that have the smartwatch on sale so you should never pay more than the price we’ve listed. If you’re interested in contactless payments or switching up the look of the Versa smartwatch, then you can upgrade to the Fitbit Versa Special Edition. The special edition version of the smartwatch allows you to choose from a charcoal or lavender woven band rather than the classic Versa band. The Fitbit Versa Special Edition also has a built-in NFC chip that allows you to make secure payments without your wallet. You can make payments on the go with your credit and debit cards with a tap of your wrist anywhere that accepts contactless payments. If you’re looking for a cheaper version of the Fitbit Versa, then you’re in luck. 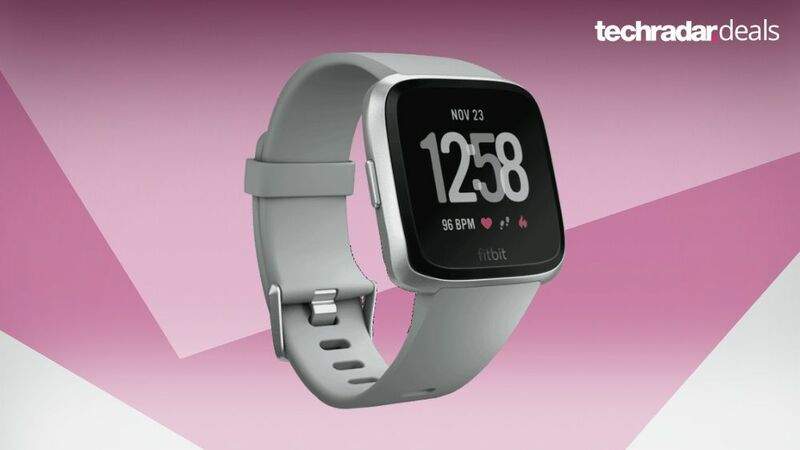 Fitbit has announced the “Fitbit Versa Lite Edition” which is priced significantly lower than the original Fitbit, currently priced at $159.95 / £149.99 /AU$249.95. The Versa Lite is available for pre-order now and should be available for purchase sometime in mid-March. So what does the Versa Lite Edition lack? Unlike the original Fitbit Versa and Special Edition, the Versa Lite doesn’t have personalized on-screen workouts, and you also can’t upload and store your music to the smartwatch. While the Versa Lite’s price is lower than the original Fitbit Versa, which retails for $199.95 /£199.99 /AU$299.95, you can often find sales on the Versa that drops below the price of the Versa Lite. If you need more information on key features of the Fitbit Versa or how much the smartwatch normally costs, we’ve answered some common questions below to help with your buying decision.